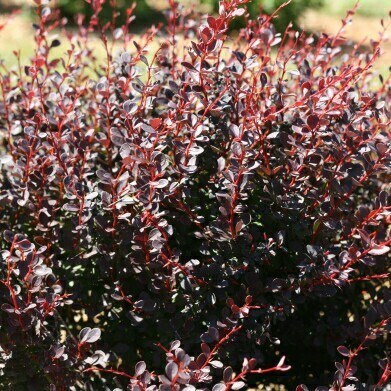 Super glossy semi-evergreen foliage with deep purple color. Sterile and disease resistant with a tidy, semi-dwarf, mounded habit. Bright yellow-orange flowers in spring. Best in full sun.